Punta del Este, a seaside resort that can be numbered among the most exclusive in the world, has consolidated its reputation as the South American destination of the international jet-set. Its beaches, its landscapes, an ample supply of superb gastronomy and entertainment as well as its sophisticated night life, all blend to make it a place to fall in love with. Punta is ideal both for those in search of peace and quiet and those who prefer an active lifestyle 24 hours a day. Punta del Este as a city with multiple attractions, is an outstanding tourist destination at the international level. One of its main advantages is that it is not just a place with beautiful landscapes; it also offers the necessary infrastructure and services to provide the most demanding tourist with an extraordinary stay. The Punta del Este area comprises 70 kilometers of ocean beaches with fine-grained sands, dunes and calm waters, or rougher waves for the more adventurous. During the summer the coastline is dotted with pleasant beach restaurants that offer excellent food and wine, gym classes, massage lounges and activities for kids, where one can find Argentinian and regional celebrities enjoying a moment of leisure. There are also miles of deserted beaches where it is possible to be alone. The geographical and commercial center of the city is called the “Peninsula”, also known as “the Punta” to regular visitors and locals. This beautiful piece of land juts into the ocean, marking the area where the Rio de la Plata becomes the Atlantic Ocean and leaving “Playa Mansa”, to one side and “Playa Brava” to the other. As their names tell us, Playa Mansa has calmer waters and the Brava is known for its waves. The Mansa side includes the beaches of Las Grutas, Punta Ballena, Solanas and Chihuahua, among others. On the Brava side are El Emir, La Olla and Los Dedos. Further towards the East are Manantiales, La Barra and José Ignacio, the most fashionable areas. These have grown significantly from the real estate point of view in the past few years. La Barra and José Ignacio are old fishing villages that charmed the cream of the Punta del Este public with their peace and quiet and picturesque landscapes of gravel roads and small white houses on the sea. Nowadays there are few lots left in the front line, and large residences have been built in modern architectural styles and design. Almost at the tip of the Peninsula is the Port of Punta del Este , a stop for all kinds of vessels. Visiting the port is a must. Every year large cruise vessels stop over, marking it as a choice destination for their passengers to land and enjoy shopping, wining and dining and entertainment. Across the road from the port is the Punta del Este Yacht Club, that gathers aficionados of nautical activities throughout the year. A few nautical miles from the Peninsula are two islands, Isla de Lobos and Isla Gorriti. The first is a natural sea lion reserve, and it can be visited on boats and cruisers that leave from the Port. Isla Gorriti has a large pine forest and charming beaches, as well as two beach restaurants with international menus, with a good offer of fish and seafood. Traditionally the public that visited this area was from the region, mainly Argentinians, Brazilians and Chileans, who made an invaluable contribution to the development and growth of the resort. Currently there is an increasing amount of North American and European visitors, who are charmed by the magic atmosphere of this place which blends like few others in the world the possibility of finding virgin beaches and country side by side with a modern city with a high level of infrastructure and services, accommodation, recreation, safety, reasonable costs and quality of life. The local population, of mainly European origin, makes visitors from the first world feel fully comfortable; socially, culturally and even from the architectural point of view everything is familiar to them. Social mores are similar, and people are helpful and eager to serve. Most people speak English, which makes it easy for tourists from the whole world to relate and get about. Punta del Este has around 155 restaurants and 100 hotels. Like elsewhere, gastronomy and the hotel industry have evolved to levels of excellence in hospitality. Many hotels offer infrastructure and services to ensure unforgettable stays, and the more modern among them are open throughout the year. Author’s cuisine has become very prominent, and many outstanding chefs offer their proposals here. Also, Uruguay is a producer of high quality export beef, so it is possible to enjoy superb barbecued meats in the traditional beef houses, the “parrilladas”. In Punta del Este as in most of Uruguay, it is possible to pay in most shops both in local currency and in US dollars. There are many Exchange bureaus and ATMs all over town offering good service and many different transactions at almost any hour of the day. There are also branches of the main international banks and credit cards. Punta del Este is also a town that is open to Art. Many local and regional artists have set up their workshops here to work in peace and quiet during the year, and to take advantage of the high season to make their work known. Among others, there is the outstanding Casapueblo museum, the most impressive work of the renowned Uruguayan artist Carlos Paéz Vilaró, located on the hump of Punta Ballena. The Ralli Museum, in the exclusive Beverly Hills residential area, has a permanent exhibition of paintings and sculpture by contemporary Latin American artists and also a group of sculptures by Salvador Dalí, quite unique in Uruguay. For those who enjoy sports and open air activities, there is also much to choose from. In summer one can participate in golf championships in different courses, in sailing races in several classes, 4×4 rallies, the one thousand miles of vintage cars, tennis championships, kite and windsurfing, etc. 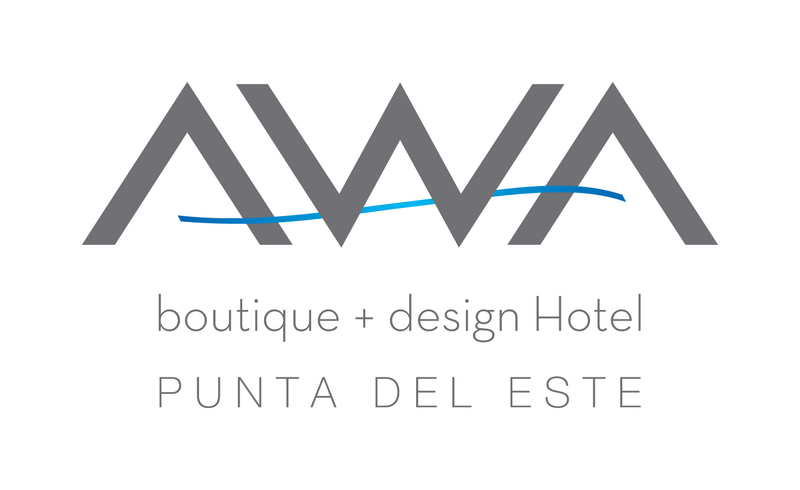 Welcome to Punta del Este, Welcome to AWA boutique + design Hotel!